We all live busy lives and with so many things to think of and so many tasks to juggle, it can often mean that security is the last thing on our minds. We’ll lock the front door and maybe set the house alarm if we have one, but do we often think about anything else? We’ll even happily pop that spare key under the plant pot by the door and disappear off to the next job on our list without really thinking about it. But are our homes really as secure as they could be? Here we’ve compiled a list of simple things you can do that will quickly and effectively improve your home security for that added peace of mind. When you’re away on holiday does lots of post accumulate on your entrance hall floor? If so you might want to consider getting a secure mailbox to hide any piles of post from prying eyes. When you’re away overnight is your home left in the dark? A security timer that turns your lights on and off in a random pattern during the hours of darkness is perfect for creating the illusion you’re still home. Are any doors or windows left open? Even ones that are upstairs? Make it part of your daily routine to check all windows and doors are locked before leaving. 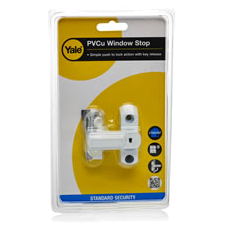 Ensure old, unstable window handles are replaced as soon as possible. 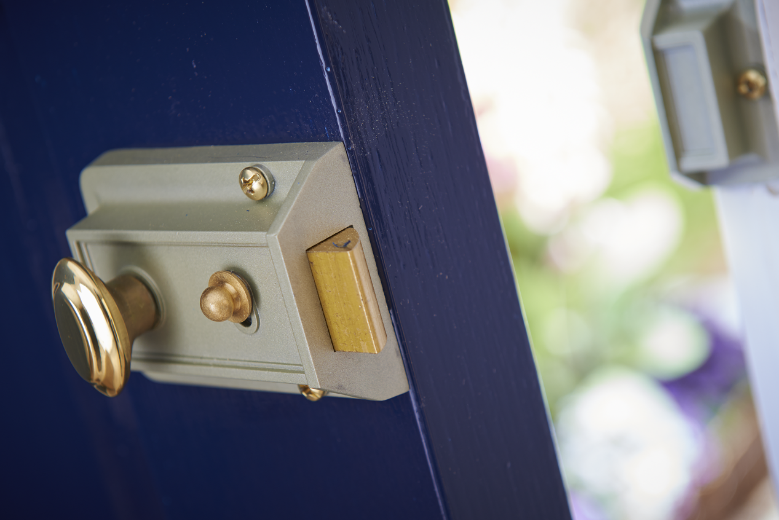 Are your front and back doors secure? 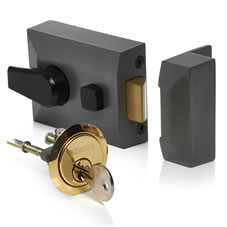 Replace any old existing locks with new secure locking systems. Is the outside of your home well lit? Outdoor lighting acts a deterrent as it will not only illuminate anyone on your property to passers-by but it will also make it appear as though your home is occupied even if it’s not. Do you leave a spare key underneath a plant pot or in another easy to find place? A secure key minder is a much safer alternative – and you can control who knows the code by giving it to people who require access to your home when you’re not there. If you don’t want that person to know the code anymore, you can simply change the number. Are there any ladders around your home that someone could use? Do a sweep around your home to make sure there’s no ladders or other tools that could be used. Is your shed or garage protected with a high-quality padlock? 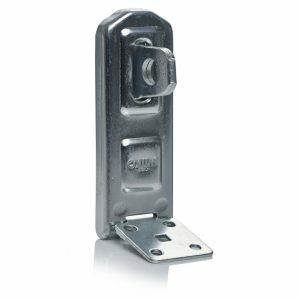 Make sure you have a good-quality hasp and staple locking system as well as a secure padlock to deter anyone from entering your shed. If you keep a lot of valuables in your shed, it’s worth making sure the shed you have is fit for purpose. Do you have any valuables around your home left on display? 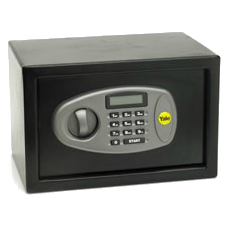 Keep your most-important things locked securely away in a safe. Got any of your own security tips? Share them with us on Facebook, Twitter, Pinterest or Instagram.